The detection of Clostridium difficile in previous studies evaluating antibiotic use as a risk factor was limited to toxin assay tests. The reported associations may have been misleading due to the low sensitivity of toxin assay tests compared to culture results. Antibiotic use and the incidence of C. difficile of 19 units (wards) over 5 years were analysed. Stool samples were tested for toxin A/B and cultured. The correlation of antibiotic use with the incidence of C. difficile determined by culture results was compared to the correlation determined by toxin assay results. Additionally, single antibiotics were analysed as risk factors. Of 5,772 faecal samples tested for C. difficile, 154 single-first cases were detected by the toxin assay and 251 additional single-first cases by culture. Antibiotic use was a significantly stronger risk factor in the correlation based on the culture results (R 2 = 0.63) versus toxin assay results (R 2 = 0.40). Multivariate analysis did not improve the correlation significantly and only the group of broad-spectrum beta-lactams was identified as an independent risk factor. The correlation between antibiotic use and C. difficile incidence rates significantly improves if detection is not limited to faecal toxin assays. Therefore, antibiotic pressure was previously underestimated as a risk factor. The study was supported by an unrestricted grant from the “Stiftung Forschung Infektionskrankheiten” (SFI). 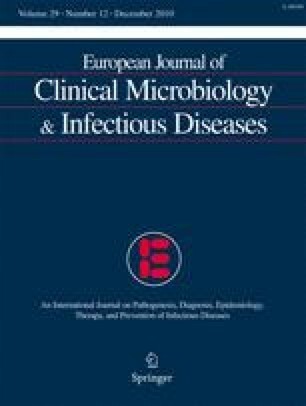 An abstract was presented at the 20th European Congress of Clinical Microbiology and Infectious Diseases (ECCMID), Vienna, Austria, April 2010 (Abstract O-161).